1. What type of Headphones are best? 2. I already do meditation, any special preparation required? 3. I am an experienced meditator, can I use this system? The brain is like a muscle, so we recommend that beginners start from level 1 and build up from there - however, an experienced mediator may choose to start at a higher level, perhaps 6 or 7. 4. What's the best strategy for using the system? The best strategy, certainly for beginners, is to follow the progressive path. Listen to the track of your choice - daily for at least a month. Each level adds 2 minutes to the session time, starting from 14 minutes. 5. 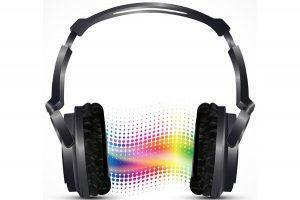 What is the session audio format? 6. What if I am short of time? Finding time for meditation is a problem that all meditators face from time to time. But don't let it frustrate you! That's why we have made the system simple, flexible and easy to use. For example, if following the progressive path, and you don't have time to spare on a specific day, it is ok to take a break, or perhaps use the 14-minute classic sessions instead. If time is an issue during the week, use the classic 14-minute sessions from Monday to Friday then switch to progressive or extended at the Weekend. Of course, you will see quicker benefits by sticking to the progressive tracks, but the classic 14-minute tracks still give a great experience. Not everyone experiences this. Yet it is a fact that we all keep strong emotions and traumas hidden (or trapped) within our subconscious minds. Whether an experienced or beginner meditator, at some point you'll most likely feel unbidden strong emotions during or after meditation. The most important thing to remember - Don't let it scare you! That said, it can feel disturbing, and if you feel particularly stressed, consider abstaining from meditation for a day or two. Put a mental 'pin' in the emotion, for later reference. Feeling strong emotions can be an indicator of something that is troubling you in the present or an unresolved problem from the past. You may also consider meditating on the troubling emotion and attempt to 'chase it down the rabbit hole'. Treat it as self-discovery and enjoy the journey. And if you do feel like crying after meditation, just cry. It is the perfect way to dissolve emotions. 8. Is brainwave entrainment safe? Brainwave entrainment is considered to be very safe - but you should be aware of certain risk categories, outlined in our medical disclaimer. 9. How is your meditation system different from other meditation practices? 10. How often to use the Meditation System? TIP: If you are using other brainwave entrainment products, you might wish to curtail their use while listening to our Meditation System. That said, we recommend to listen to the audio at least four days per week. Ideally every day, morning and evening. Morning meditation is a great way to set yourself up for the day, and an evening session will prepare you for sleep. If you have time for a progressive session in the morning, that is great, otherwise, consider using a classic 14-min session in the morning and the longer progressive or extended session in the evening.